Lake Simcoe Ontario is the fourth largest inland lake that is entirely in Ontario. It is a popular cottage destination due to its proximity to Toronto and the GTA. In fact its southern most shores are part of York Region. It is also a popular ice fishing destination as the lake is one of the few of its size in Canada that wholly freezes over. Once known as Lake Toronto, Lake Simcoe was renamed in the 1700s after Captain John Simcoe, the father of the first lieutenant Governor of Upper Canada John Graves Simcoe. 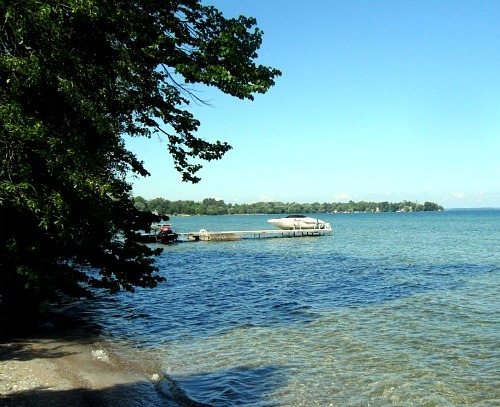 Because of its proximity to Toronto (the southern shores are only about an hour away from downtown), Lake Simcoe is a quite popular cottage destination. Major areas to visit include the town of Georgina to the south which actually encompasses smaller towns like Jacksons Point Ontario, Sutton and Keswick. To the east are the towns of Beaverton and Brechin, the northern most center is Orillia and to the west are Barrie and Innisfil. Currently there are no true commercial uses for the lake, it is purely a recreational destination. And its popularity extends beyond the typical summer cottage season due to its ideal ice fishing conditions. 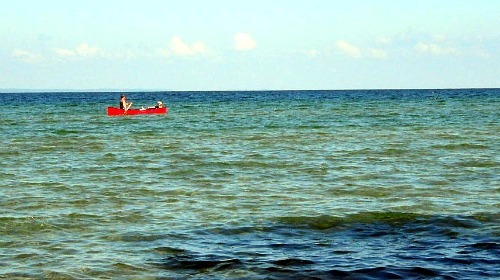 Aside from traditional cottage activities of boating and beaching, Lake Simcoe is extremely popular among fisherman. This lake is the largest in the Ministry of Natural Resources zone 16. Popular fish include lake whitefish, yellow perch, small mouth bass and lake trout. Species that are available to fish all year include Crappie, yellow perch, Sunfish and channel catfish. Other popular species like Lake trout, whitefish, walleye, Northern Pike, are open January to March then May to September/December. For full details on what you can fish, how much and details on the seasons go to the Ministry of Natural Resources. Because of the abundance of these fisheries in Lake Simcoe combined with the fact that the lake will completely freeze over in the winter Lake Simcoe Ice Fishing is extremely popular. Unlike many of the Great Lakes, there are no great expanses of beaches along the Lake Simcoe shoreline. There beaches but they tend to be smaller and park like as opposed to long uninterrupted stretches you might find on Lake Huron. Because of this many cottage towns, or individual cottages have docks and marinas for boating. The greatest concentration of Lake Simcoe Marinas are found on the northernmost and southernmost shoes, but can be found in almost every major location around the lake from Brechin to Barrie. 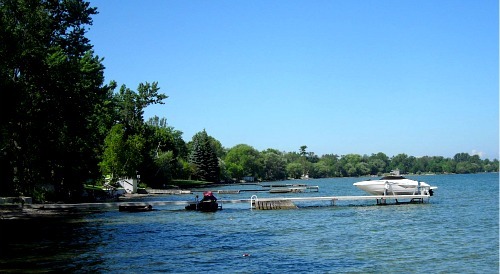 Find your Lake Simcoe Marina via this interactive map from Boating Ontario. Lake Simcoe Ontario has a number of islands, the largest of which is a First Nation Reserve for the Gerorgina Chippewa nation. The other islands include Thorah Island which is frequented by cottages, Strawberry Island which is a Basilican Monk retreat plus Snake and Fox Islands. Often compared to Lake Ontario as a cleaner and warmer water body, Lake Simcoe is a year round cottage and recreational lake. Return HOME from Lake Simcoe Ontario.